One of my goals on my 30 before 30 list was to interview 12 women in business I admire. I can't think of a better first candidate than Ali Price of Lydali. I happened to enter a giveaway they sponsored on Delight by Design, and I actually won! I never win anything. But as a bonus, it turns out Ali is based in San Francisco also, and we got the chance to meet. Once I learned more about Lydali, I knew I had to share their story with you. Keep reading for my interview with Ali plus an amazing giveaway I know you'll want to enter to win! 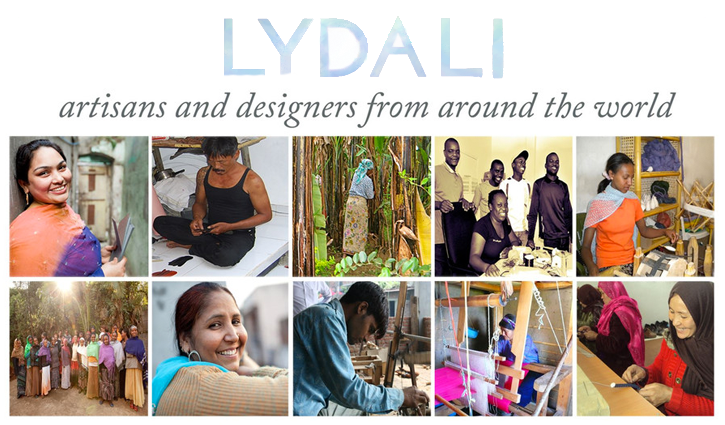 Tell me more about the types of artisans you work with, and how purchasing from Lydali helps them? Since we're based in San Francisco, we've mostly maintained relationships with artisans and designers through the internet. 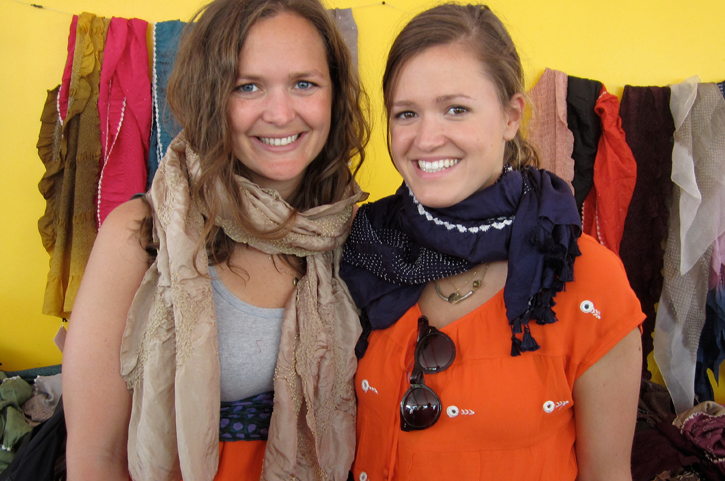 We work with some amazingly talented people with really inspiring stories - Fatima and Wendren who work in South Africa and make bags using local recycled materials like coffee bags or cement wrapping, or Annegret and Juliana who make beautifully patterned batik scarves in Cape Coast, Ghana. When buying through Lydali, your purchases help to sustain and grow the small enterprises we work with around the globe, and by helping to employ the people we work with, you're often helping their families to have access to education, healthcare, and to cover the costs of basic needs. Many of the small enterprises we work with provide additional benefits to their employees like literacy courses, financial training, and health classes. Why did you decide to start Lydali? My background is in art and communication, but I've always had a real interest in international development, and for the past several years, I've been working at Kiva, an organization that facilitates micro-lending online. I've always wanted to merge my love for art and design with the hope that I have for improving the world through job creation and economic development. When I was in Bali for work last year, my colleague who lived there was telling me about the work she had started doing with artisans in the area. She had created jobs and trained several men and women to make beautiful jewelry and accessories, but even with great products and an incredible social mission, they were having trouble finding with customers who would buy these products. I started thinking about a way to connect customers who want unique products that do good with artisans around the world who are making things but have nowhere to sell them. I came back to San Francisco and told my friend Lydia, a buyer, about the idea. She signed on right away, and we immediately went to work on Lydali! How do you balance activities for Lydali with your other responsibilities? At the moment, both Lydia and I still have full-time jobs, and we work on Lydali on the side. To add to the craziness, my husband is also working on a startup, which means we both work long hours, and there's literally no end to the work that could be done if you don't set boundaries. I tend to work on Lydali a little bit in the mornings before I head into work, and then I carve out hours in the evening to write blog posts, photograph new products that have come in and add them to the site, or connect with the artisans we work with all over the world. As for balance, I make a point to make time for friends and fun activities in San Francisco. The weekends are usually spent on an equal mix of work, friends, and general housekeeping. I'm pretty laidback (read: disorganized) by nature, so I'm still teaching myself to be thoughtful about how I spend my time so that I can make sure everything that needs to get done gets done. I don't get it 100% right, and any of my family or my long-distance friends can tell you they have to wait weeks for me to return a phone call. I'm working on improving on that, too! How do you stay inspired, creatively? San Francisco is a creative and inspiring city, so just getting outside and spending time in my neighborhood is invigorating. I also love to paint when I get a chance. 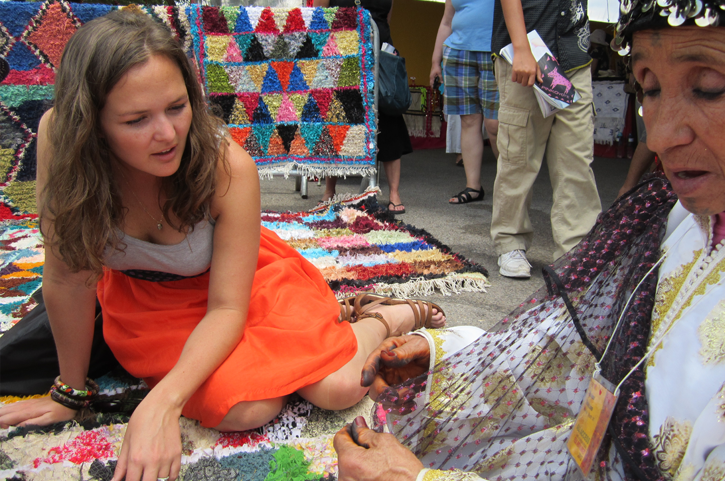 I love that what I do helps to provide jobs and reliable income to entrepreneurs and artisans all over the world, and I love getting to share their stories! What one piece of advice would you give someone thinking of starting their own business? Talk to as many people as you can in the field that you're interested in. Any conversation and connection is helpful as you're getting started. And if you've got a great idea, go for it! And now for my favorite part - Lydali has generously offered one of their handmade zig zag clutches and a set of wood & leather bangles. These bangles are the same ones that I own (you might have seen them here or here). To enter to win, please visit Lydali and pin your favorite product on Pinterest. Good luck choosing just one - you'll want to pin it all! Comment here with the link to your pin. Please make sure your email address is in your profile (or leave it here) so we can contact you! The giveaway closes at midnight on Thursday, August 30th. 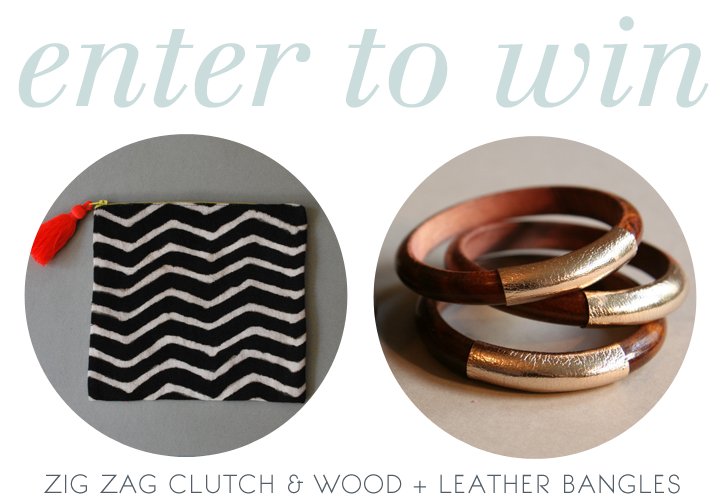 We'll randomly choose a winner and will announce on the blog Friday morning. Good luck!